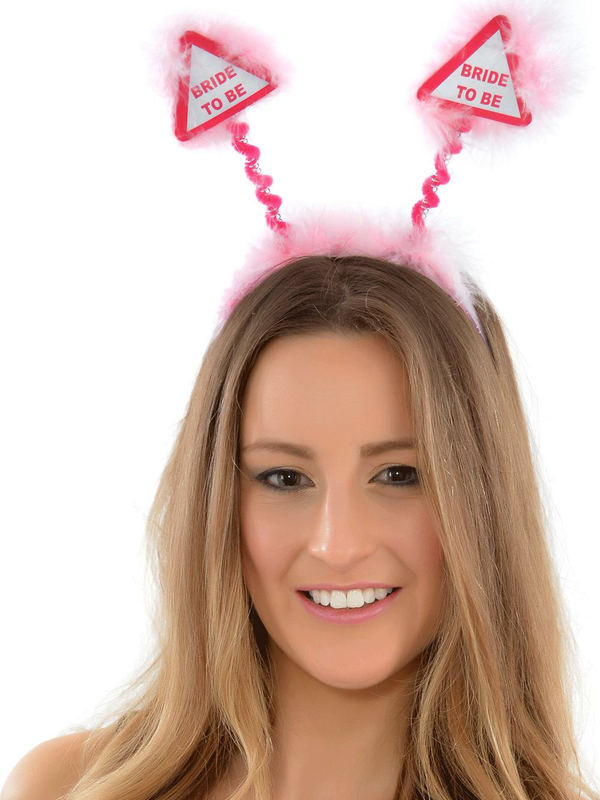 Dress up the bride in pink head boppers to add fun and excitement to her last night of freedom. These boppers feature a warning triangle with the words Bride To Be which means that everyone will know who to make a fuss of. And with a huge range of cheap pink hen party accessories dressing the bride with matching accessories will be no problem.